I had a conversation/debate around 2005 about how to make a classic Gin Gimlet. We focused on Rose’s Sweetened Preserved Lime Juice/ Cordial vs. Fresh Lime Juice. While this seems like an inane debate, it has some important historical, as well as tasteful, implications. I was in a bit of a dilemma with my feeling that, historically, lime cordial was more likely the preferred or available ingredient, but fresh was in. Also, Rose’s style cordial was made with high fructose corn syrup, food coloring and other less than palatable ingredients which made that choice even more difficult. My interest was now piqued as to the origins of the gimlet and lime cordial, how a classic Gimlet should or, normally, would be be made, what lime cordial was and its origins and if there even was a definitive answer to any of this. While I love fresh lime, it just doesn’t make a Gimlet for me. Familiarity is generally what we base our convictions on, and most people are familiar with Rose’s. But it seems to go against our new convictions of using high quality, crafted or fresh ingredients in our food and cocktails. And in the U.S. there aren’t really any quality alternatives to Rose’s brand lime juice. 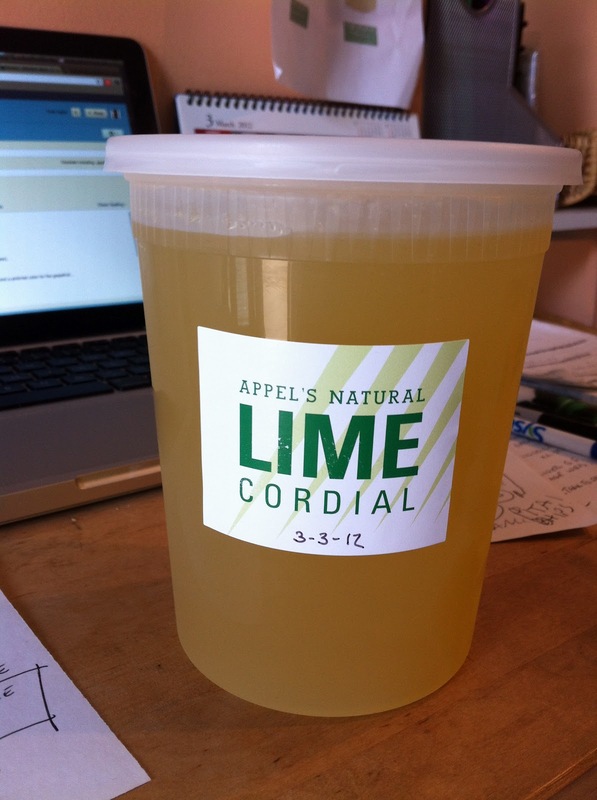 There are huge differences between fresh lime juice and lime juice cordial. The taste of preserved lime juice cordial is distinctly different than fresh lime juice and has a similar taste to that of lime curd or lime marmalade (Rose’s has made lime marmalade since 1865). But how to get that lime curd flavor we want (or many of us want), without the high fructose corn syrup and the brown colored juice? The only alternative was to try to make it myself. There is ample historical evidence for the case that Rose’s style cordial was the ingredient of choice in Gimlets around the world, but there isn’t really a definitive answer or “smoking gun” for the invention of the Gimlet or the first ingredients and ratios. The origins of the Gimlet lie, rather, in the general time line of history from the use of lime juice in the Royal Navy as a preventative and cure for scurvy, the attempts to preserve lime juice for future use, the attempts to make it both palatable to the sailors (who were required to drink it) and to the general public and their growing tastes for non-alcoholic beverages and mixers in England in the later 19th century, and, finally, that gin was the spirit of choice among the officer class whether on land or aboard ship. Citrus cordials and sodas ( lemon squash, bitter lemon soda, tonic water, etc..) became quite popular and were natural mixers with spirits during the 19th century. Plymouth Navy Strength (114 proof) gin was the gin of the Royal Navy from the early 19th century onward, (Black Friars Distillery, Plymouth, 1793). It was produced at that strength for the Navy, not in small part, because if it was spilled on gun powder during battle, the powder would still flame, and the cannon could still be fired..(A real example of Dutch Courage at work! )… Gin would also be the choice at officers clubs and bases around the world. But it really isn’t cut and dried that a Gimlet would never be ordered with fresh lime. Gin yes, but what kind of lime? There is ample evidence to show that it was made with fresh lime as well as lime cordial, but that lime cordial was something that was always around and could be counted on when fresh limes weren’t available. For example, at an officers club in Bombay or Hong Kong the bartender might use gin, fresh lime and sugar, or preserved lime cordial, depending on availability, but both might be called a Gimlet. This would be a common occurrence in Royal Navy, Army, and government outposts around the world. In lieu of fresh mixers, a bottle of lime cordial could always be counted on and would be a common denominator in bars around the British Empire. Up until the late 18th century there was no real scientific data on anti-scorubics (anti scurvy). The scientific method of studies were not really used until we reach the early 19th century, so the use of citrus (lemons or limes) was sometimes used on just anecdotal evidence. Use of citrus, or other remedies, depended on the captain of the ship. There was no mandate or general consensus that citrus would ward off scurvy, and getting sailors to drink the usually noxious oxidized lime juice was also a difficult task. But in 1747, British Dr. James Lind experimented with lemon juice on some of his men suffering from scurvy that pointed strongly to the use of citrus as a “medicine”. It still took until 1795 for the British Navy to mandate the use of lemon juice on board naval ships and not until 1867 with the general Merchant Shipping Act was the use of citrus on all British commercial shipping mandated. Lime or lemon juice was rarely, if ever, fresh aboard ship. 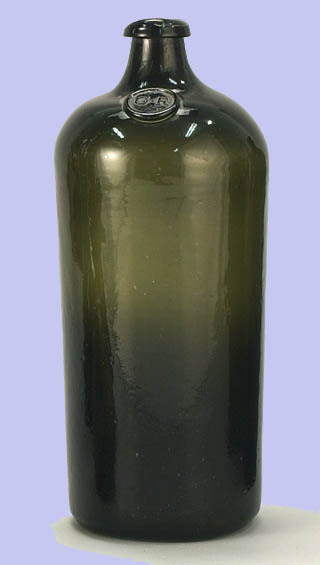 Lime juice was preserved in several ways, most common being the addition of spirits and sugar as a preservative and to make it somewhat more palatable. It was usually stored in large bottles, not wooden casks. Other methods were making a lime concentrate or syrup, called a rob, by cooking the juice at low heat in a double boiler and evaporating the excess water until it was oily at room temperature and thick when chilled. Lemons or limes were used. By the 1840’s, though, limes essentially replaced lemons (there was not much of a distinction back then) because of the influence of British lime growers in the Caribbean and the sporadic sources of lemons from the Mediterranean due to war or instability. Unknown, though, was that lemons were a far more effective anti-scorubic than limes. This brings us up to commercially produced preserved lime juice cordial and Lachlan Rose and the likely origins of the modern dry gin gimlet. Rose worked on a method of preserving lime juice, without the use of spirits, for use in the military and merchant marine with an eye on the home market in England its the growing in taste for lemon and lime soft drinks, sodas, and mixers. It was also a product that could be used by the Royal Army or other government and commercial posts around the British Empire. It was almost always the case that “regular” lime juice was musty and foul to begin with. Rose was one of the first to ensure that the limes his company juiced would be picked from the trees. Something we think would be obvious today, but had to be directed at that time. The method of preservation that he patented used a version of sulfites. He patented the use of sulfurous gas and acid to treat the lime juice. Rose’s still contains metabisulfate and sulfites are used today as a preservative in much of the worlds wine. Rose also looked to the large potential commercial market for selling his lime juice on an even larger scale and was very successful marketing his flagship product, using distinctive bottling to capture the consumers eye and business. Slews of competitors popped up, copying even Rose’s distinctive bottle shape and style. The popularity of this style of lime cordial around the British Empire was certain. But can we say that this the classic ingredient in a gin gimlet? I think we can surely say it was, but we have to be careful to not be dogmatic about things such as cocktail recipes, or we take the fun and truth out of them. Exceptions always exist and people mold recipes to their own tastes over time. There are also many other issues at hand when discussing cocktail history. Ratios, ice, technique, tools, glassware, and other issues can make two completely different cocktails with the same ingredients. Again these are things that almost always make definitive answers to what a cocktail is or was nearly impossible and is why I generally leave that dogma at the door and make room for legitimate variations on the same theme. In the end, drinks should be made to your own personal tastes. In the case of the Gimlet, I prefer much more gin to lime. I enjoy the taste of good gin, and want the gin to stand out and the lime to simply enhance it. The gin is like the nucleus of an atom and the cordial like it’s electron…..
Now my rationale and recipe for Preserved Lime Cordial. I experimented, but wanted to stay as simple as I could. I wanted it to be real and impart the lime curd flavor I was looking for and be as natural as possible. I studied a few old 19th century recipes for cordials and syrups in England. I looked at making a “rob” (the cooked citrus juice used on board some Royal Navy ships). I settled on the simple combination of fresh, strained lime juice and white cane sugar and lime zest to add the lime taste and aromas. I also tried different methods of heating this syrup and infusing the lime oils. Heating the cordial helps in its preserving, concentrating, and water evaporation. Heating it too high will caramelize it and bring flavors that mar the lime taste. I have updated the following recipe a few times over the years to reflect growing experience and countless trials making this cordial. Wash, dry and zest limes. Store zest in airtight container in refrigerator. Bring juice and dissolved sugar slowly to 180 degrees. Stir this often. Use a candy thermometer to gauge your temperatures. Allow it to rest and come to room temperature, add the zest. Keep covered. Allow to steep for several hours or up to one day and then strain. This will last for months and even a year or longer stored in your fridge and never discolors like Rose’s does. I have never had it go bad. If you like it more tart, add less sugar or vice versa. All ingredients to shaker filled with ice. Garnish is not necessary. I also enjoy this cocktail stirred. I also more often drink this cocktail on the rocks stirred or shaken. Stirred in the winter and shaken in the summer is a good rule of thumb. I love strong Espresso or French roasted coffee. I picked up the taste for this style of coffee while traveling often to Brazil years ago. There they make a little demi-tasse pour of sweetened espresso called cafezinho, very similar to Cuban coffee. Even longer ago I discovered Vietnamese iced coffee and loved it, but it wasn’t until I spent time in Brazil and upon moving back to the U.S. that I always drank small strong coffees this way. The commonality of these styles is that they are heavily dark roasted and full bodied and brewed to be bitter and intense. The intense bitterness of these styles is assuaged with the addition of sugar and or cream/milk of some kind. It can be as sweet or bitter as one likes, but almost always has some sugar in it. But in intense heat and humidity like, say, in Vietnam, it can be a little oppressive to drink hot coffee…thus the addition of ice is a natural progression for coffee as is with tea. 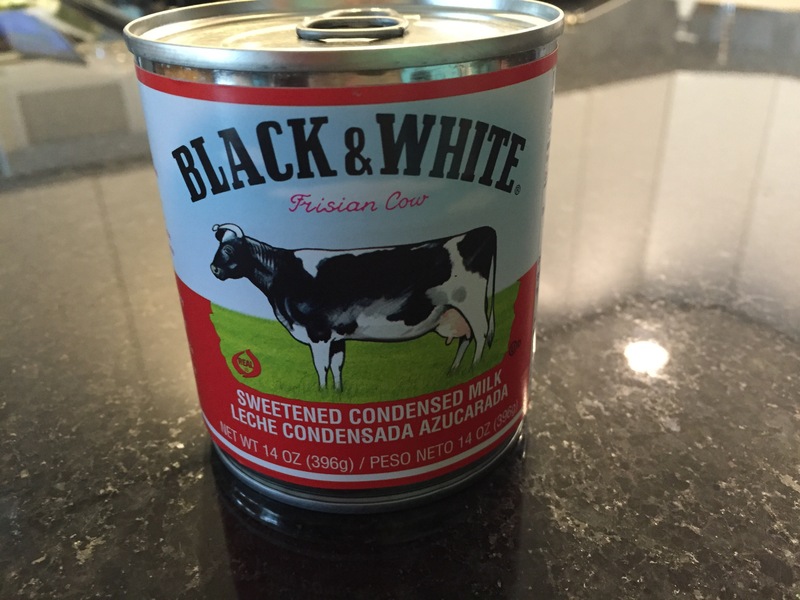 In tropical locations around the world the use of sweetened condensed milk is a staple for many dishes and drinks. It certainly is in Brazil, (leite condensada, or leite moça in colloquial terms) where I became accustomed to its use in drinks and desserts. Canned, concentrated and sweetened, it was a way to preserve milk for hot humid climates and for it to be readily available on shelves in markets. This meant that in earlier days it very likely was the only milk available to most people. It thus became an important ingredient for tropical tastes and cultures around the world. The popularity of this style of coffee in the U.S. really began after the end of the wars in South East Asia and with the influx of refugees and immigrants from there in the mid to late 70’s. My visits to Vietnamese restaurants in the late 70’s with my Vietnamese friends led me to Cà phê sữa đá (this means “iced coffee with sweet condensed milk”) Traditionally it is brewed table side into a glass with ice and sweet condensed milk at the bottom and a spoon for you to mix it up. An individual coffee press full of dark french roast with hot water is brought to table. Brewed and mixed and iced and done. The coffee brand that is very traditional here with the Vietnamese community in the US is Cafe Du Monde of New Orleans fame. It is a blend of drip grind French roast coffee and chicory . It really is a great coffee for this drink. There are other coffees from Vietnam, most popular of which is Trung Nguyen. It has cocoa added to the ground coffee, which I add to the grounds before brewing, but I find it a bit weak and too sweet when balancing the condensed milk. I don’t have that problem with Cafe Du Monde. This recipe for iced coffee has notes of burnt chocolate, cinnamon, dark coffee, the silky smooth texture that isn’t watered down. There is a rich, complex flavor and the balance of bitter and creamy and sweet that calls for sipping, not gulping. Anyone can do it with no special tools or equipment. I use a run of the mill 10 cup drip coffee maker which goes to 11 if you push it. Feel free to use a French press or whatever method you prefer. I use the drip maker since I can easily brew the amount I want without too much fuss. I do two brewings to get to about 1.6 litres. In my 10 cup drip maker I do one full brew, and a half brew using the same grounds. This is the perfect amount and strength to balance exactly one whole 14 oz can of sweetened condensed milk and it all fits perfectly in a French 2 Litre Carafe. I fill the filter as full as possible and then add some ground or whole cassia cinnamon along with some cocoa nibs on the grounds. This is to your taste, but don’t overdo it. I brew the first batch and add it to the carafe and begin the second brew. I then add the whole can of sweetened condensed milk to the hot coffee and mix while I wait for the second brew. I then add the next brew to top off the carafe. This is also delicious hot and I often have a little cup before cooling. Allow to come to room temperature and then store in the refrigerator. 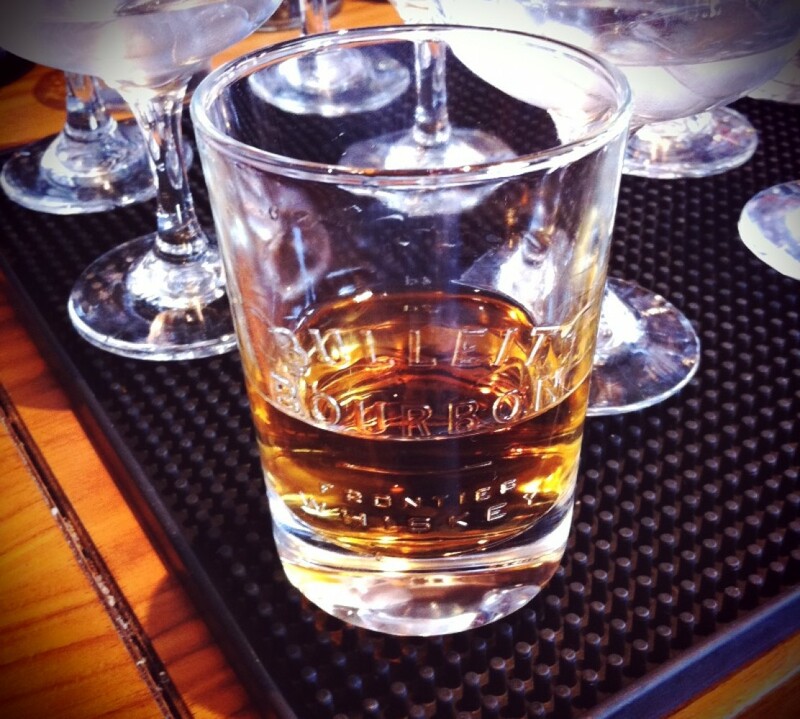 To serve, pour over ice in small glass. I prefer large cubed ice, like Kold Draft, so you keep the chill and have a little melt, but not too much melt. Like a whiskey with a cube or two. It is great made into a frozen blender drink…. with or without alcohol.